Zero presents this night suit for your little one. The set includes a full sleeves round neck tee & full length pyjama. The tee features a cute print and the pajama has a soft elasticated waist which ensures maximum comfort. It is made of soft and snug fabric which keeps your kid comfortable all night. i just love it. soft and nice material. good buy. product is good & comfortable for baby ..
love, love this a LOT.. Very soft material and Its perfect for winter. reordering more. Zero, one of the best and trusted brands. 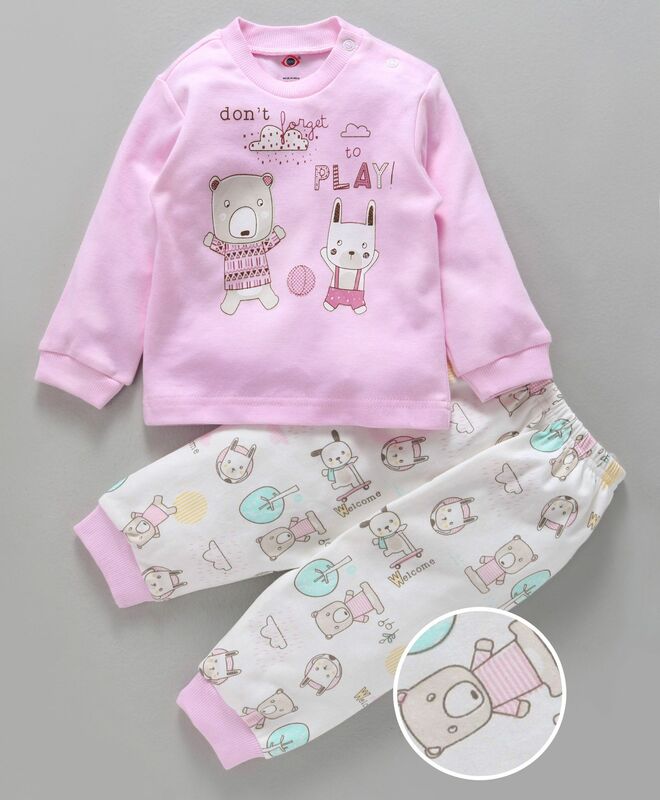 quality is really good but the size is very big, i ordered for 3-6 months baby but it will be suitable for 1year above age kid. bought this from store...just beyond awesome..